On March 24th 2007, Chinmayam class (almost thirty 10-12 grade boys and girls) of Chinmaya Mission Washington Regional Center (46 Norwood Road in Silver Spring Maryland) found a reason to reflect upon the need for education for children in India. This was a class project that centered on seva. What can be more precious than providing a gift of education to the under-privileged children of India? Having realized this they presented their individual talents and efforts to an audience of close to 300 proud parents and other guests as Fusion 2007. In a few hours Fusion 2007 collected $2246. The students presented a variety of acts ranging from a group invocation that started the show to Indian classical music and dance. They took care of all aspects of the show, right from planning, preparing flyers, publicity to the meticulous details of audiovisuals. Monica Thakrar (Chinmaya Yuva Kendra) prepared wonderful certificates for each participating student and also for Kedar Nath Mulpuri who gave an inspirational speech. He is a 16-year-old outstanding student of math, science and biology who is tutoring his own age group students in Virginia for SAT exams. He is donating the tuition collected from the students to Ekal DC chapter for sponsoring an Ekal Vidyalaya. The evening awakened the audience – our children are capable leaders of tomorrow, they have the inspiration, motivation and the zeal to keep the momentum of self service alive. They have already mastered the art of giving. Ekal Vidyalaya Foundation (Washington DC chapter) and Youth For Ekal Seva (YES) extend sincere best wishes for the remainder of the school year to the Chinmayam class, to Yuva Kendra members for their kind help and Kedar and Monica for their contributions. University of Virginia is a great place to learn. For past 3-4 years students have been generating awarness and funds for Ekal school. 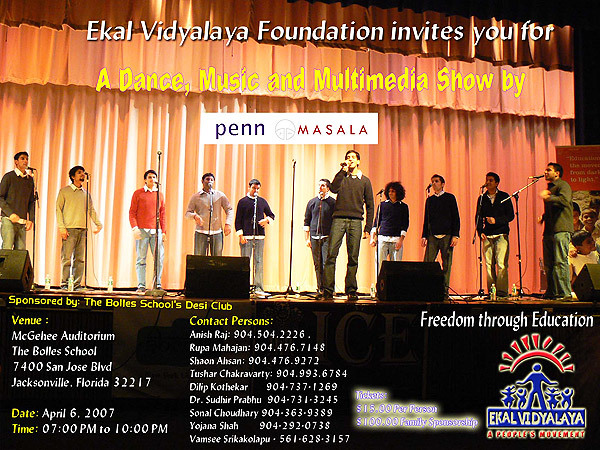 On February 10, 2007 at 7:00 PM in the Mcleod Hall Auditorium, the University of Virginia's Hindu Students Council arranged an Indian Classical Dance Program as a benefit event for Ekal Vidyalaya. They invited Kalamandapam and Rupa Nartan, two prestigious Kuchipudi and Kathak schools respectively from Northern Virginia to perform along with two solo Bharatanatyam performers. The show was a grand success and raised over $700 for Ekal Vidyalaya! 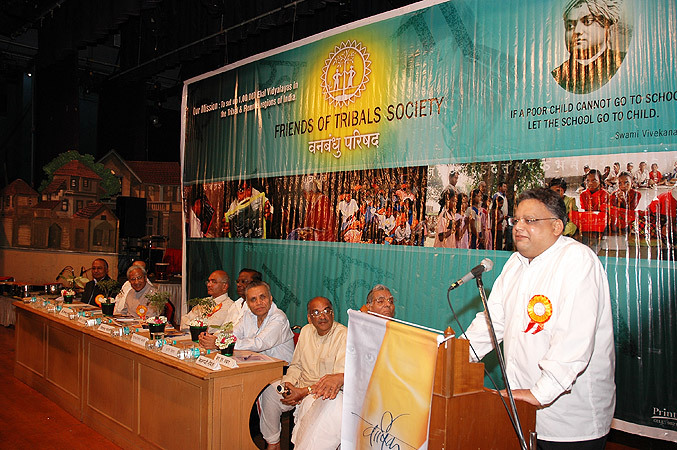 The Mumbai Chapter of Friends of Tribals Society (FTS) held its Annual Day Function on Saturday 3rd March 2007 at Ravindra Natya Mandir, Prabhadevi. The Chief Guest was Shri Rakesh Jhunjhunwala (eminent Stock Broker) and Guest of Honour was Shri Girdharilal Bawri-Chairman, McLeods Pharmaceuticals. FTS President Dr D.B. Gupta welcomed the guests and introduced FTS to the guests. Working President, Shri Jitu Bhai Bhansali presented the report of the Mumbai Chapter. Shri Jhunjhunwala was very impressed by the noble work and pledged his wholehearted support. He said he would give 1% of the cost of the total schools and also support the Residential project coming up in Wada. A souvenir was released by Shri D.N.Bubna on the occasion.This was followed by a program by Shri Ashok Hande " Hum Saath Saath Hain". This was a musical dance presentation which was widely appreciated. Inspite of 3rd March being Holi and a Lunar Eclipse, the Hall was full, and it remained so till the end. 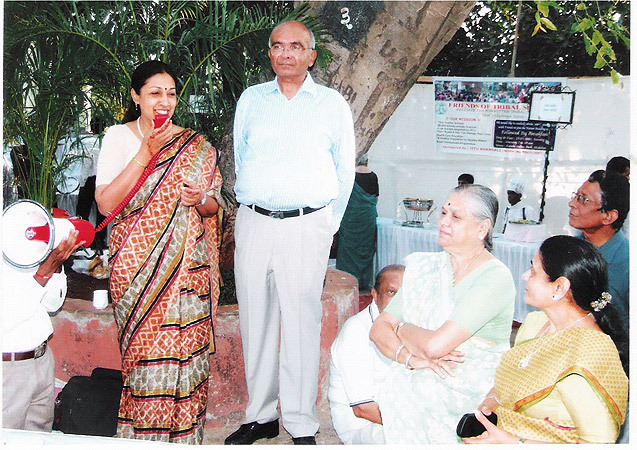 On 25 March2007, a breakfast party was conducted at Kamala Nehru Park, Malabar Hill in Mumbai. Around eight hundred people attended the event. It provided an excellent opportunity to provide a very good exposure to Ekal Vidyalya. A lot of awareness was created with healthy interaction with members of society and encouragement to contribute for a noble cause. Funds to the tune of Rs. 25,000/- plus were collected and enquiries about school donations and memberships generated. 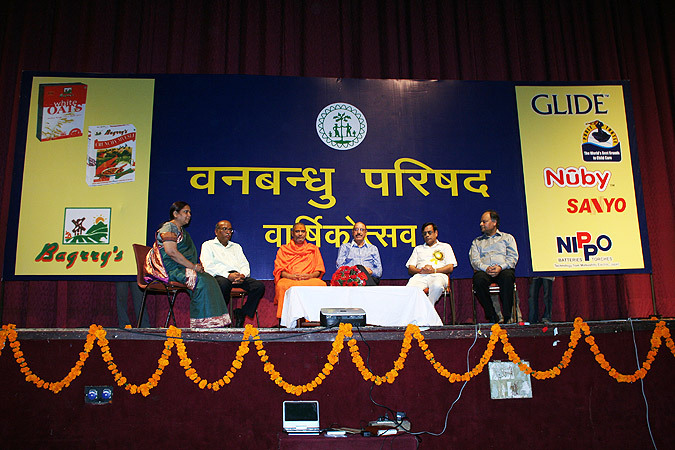 The event was sponsored by Shri Jitendra Bhansali. 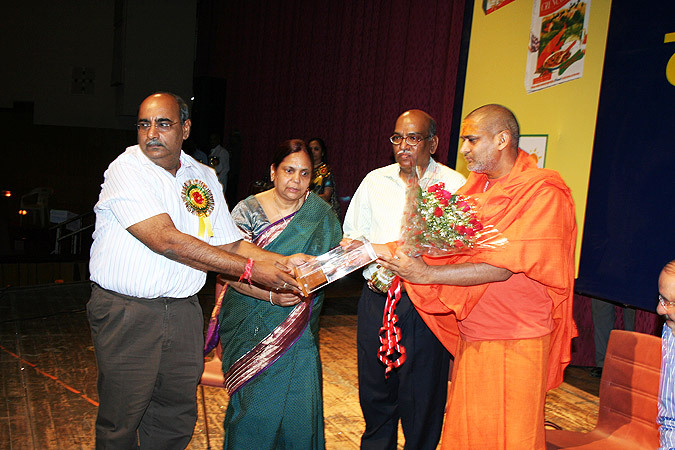 Dr. Subramanyam was in Belgaum (Karnataka) on 24th and 25th February 2007 and addressed two functions, jointly arranged by Ekal Abhiyaan- Karnataka and Institute of Management Education and Research , (IMER) Belgaum. On 24th Feb, he addressed a gathering of college students. The program began with Omkar followed by presentation about Ekal Vidyalaya Yojana and Ekal Abhiyana by Sri Sangram S Kulkarni (Gen.Secy Ekal Abhiyaan). After Deep Prajwalana students of Ekal Vidyalaya, Gouliwada, Ramanagar presented Saraswati Vandana and Deshbhakti Geet. Sri Suresh Hundre (President Ekal Abhiyaan), welcomed the audience. Sri Ravi Kakati introduced the guests. Dr.(Mrs) Poornima Charantimath, Director, IMER was guest of honor. While recollecting her association with Sanskrit which has rich treasure of knowledge, she announced that IMER would adopt one Ekal Vidyalaya. Nearly 50 students belonging to various colleges attended the program. On 25th February, the function began at 10.30 am at IMER auditorium. In his address Dr. Subramanyam explained the research findings of Swami Vivekananda that falling prey of the Kings and Pandits to the flattery and fear of the Britishers and Untouchability were the three prime reasons for the downfall of India .Education includes moral values he said. "The purpose makes all the difference in deciding whether one is materialist or spiritualist ", he added. He appealed to the gathering to join hands in bringing social transformation by removing untouchability from society and participating in Ekal Vidyalaya Movement. On this occasion Ekal Abhiyaan, Belgaum Branch was inaugurated by Dr.Subramanyam. 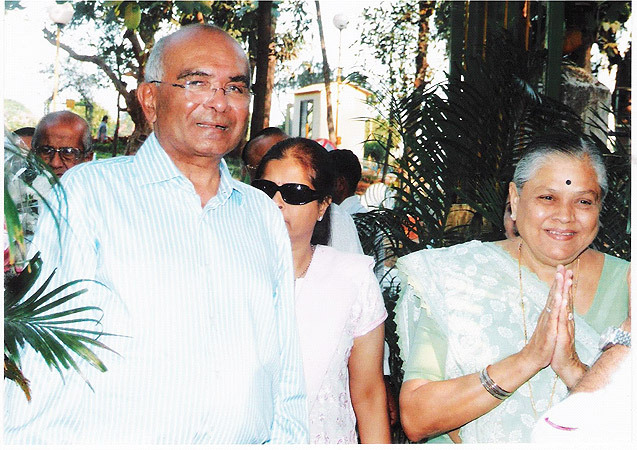 President Sri Sudhir Darekar, Gen. Secy. Sri Dilip Naik, Treasurer Sri Girish Pai and all the committee members were introduced to the gathering. Despite the visit of President Shri APJ Abdul Kalam, the program was attended by nearly 400 enlightened citizens of Belgaum. Among other donation, Shri Thembe announced adoption of 5 Ekal Vidyalayas. 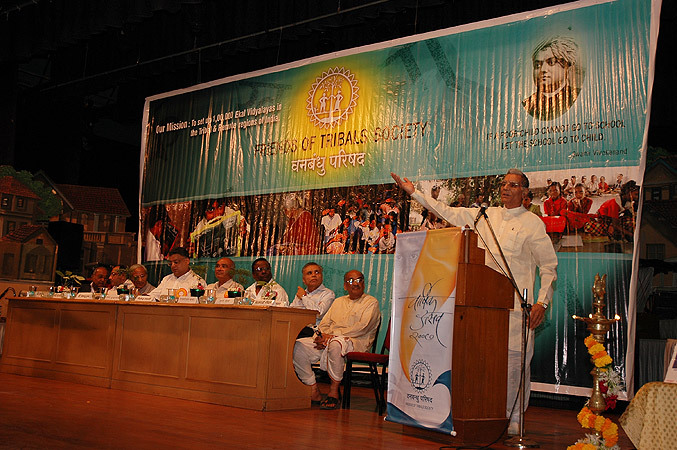 The annual function of FTS Delhi was held on 31st March in Siri Fort auditorium. Shri Sushil Ansal - Chairman Ansal Properties and Infrastructure Ltd was the Chief Guest. In his brief and meaningful speech he exhorted everyone to join the Ekal Movement. "I am honored today to be a part of your function for such a noble cause. I am highly impressed by the enlightened gathering here today", said Shri Ansal. Shri Vijay Maru gave an impressive multimedia presentation on Ekal Movement which highlighted the national and human importance of this noble cause. 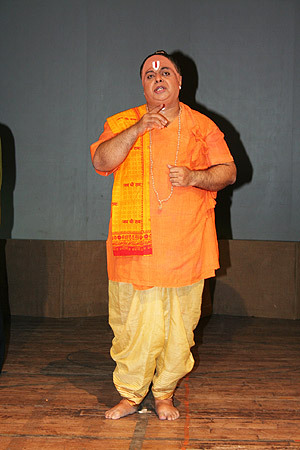 This was followed by a one act play on Goswami Tulsidas by renowned artiste Shri Shekhar Sen. The powerful and inspiring performance kept the audience, consisting of many distinguished and prominent citizens, mesmerized. The enriching experience of the beautiful one act play was followed by Shri Sen's heartfelt appeal to the audience to join and support the Ekal Movement. Please contact ekal.washingtondc@gmail.com for further information. From May 3-10, 2007, Dr. Mittal from Arogya Foundation of India will visit Maryland to set up an alliance with Capital Technology Information Services (CTIS) Inc. located in Rockville, Maryland. The Arogaya Foundation Project Development Meeting will be hosted by Mr. Raj Shah, CEO and President of CTIS (and a devoted supporter of Ekal and Arogya Foundation) and Professor Ritu Agarwal, director of the Center for Health Information and Decision Systems (CHIDS) at Robert H Smith School of Business at the University of Maryland. The meeting will be held at the University of Maryland. The purpose of the meeting which will be spread over 4 or 5 working days in May will be to develop a holistic deployment of information and communication technology integrated within the Arogaya model of rural healthcare. 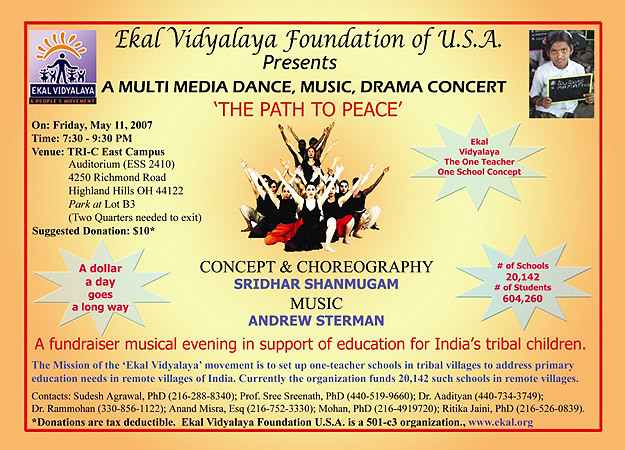 EVF Midwest Region is having a Musical Concert "Path to Peace" for Ekal School Foundation of USA (www.ekal.org). An International Choreography team led by Sreedhar Shanmugam and Andrew Sterman will be performing on May 11th at Tri-C Eastern campus auditorium (details attached). EVF AUSTRALIA is celebrating their third annual function EKAL NITE-BAL TARANG on SATURDAY 19th may 2007 in BAOWMAN HALL BLACKTOWN. 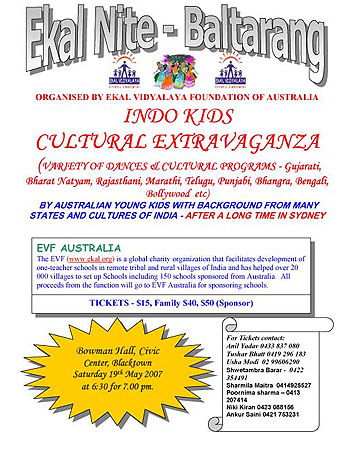 EVF AUSTRALIA is a part of GLOBAL EKAL MOVEMENT and has sponsored more than 150 EKAL schools in India. Smt Sangita Gupta and her husband Shir Gauri Shankar Gupta visited the Arogya Shiksha Kendras (ASK) in Weynaad and Ooty Anchals (in Tamil Nadu) last month. During their four day visit they traveled to Nulpura sanch and Ambleyvally sanch (Weynaad) and Masinakudi Saanch (Ooty). The ASK in Weynaad is 6 months old. The visitors were surprised by the fluency and purity of diction with which tribal children were chanting Gayatri mantra, Saraswati vandana and Purnamidam mantra. During their interaction with our tribal brethren they realized the villagers eagerly wanted to revive their old age traditions among their children. The biggest problem facing them was that of alcohol addiction. And now, it was their children who were compelling them to stop drinking. The ASK in Ooty was started a year ago as an experimental project and has turned out to be a great success. During their visit they saw how Dr. Sateesh (Vyavastha Pramukh) and Smt Hema (Sah Yojna Pramukh) arranged for the operation of a 5 year girl in Coimbatore’s Shri Ram Krishna hospital. (She has since recovered from the operation and is back to her smiling, naughty self). In view of the planned expansion of ASK’s in 2007, Anchal Prathmik Abhyaas Vargs (5 day training camps) were being organized in Ooty. From 19-24th March Varg was held for the ASK in Gudloor Sankul attended by 20 tribal girls hailing from Gudloor. From 25-30th March Varg for Canoor sankul was held in which 31 tribal girls from Canoor participated. This shows the great response to the Arogya Shiksha Kendras have evoked amongst our tribal brethren.